As a bird owner, the last thing you want to see is Polly pulling out her feathers and plucking them incessantly! When she's molting, there will obviously be quite of lot of self-grooming of her feathers, right down to the quill, but if your bird is obsessive about it, and as a result is losing the lushness of her feathers or just generally looking unfit or unwell, then you and she have a problem that needs some attention. It is very distressing knowing that something is not quite right with your parrot, for her and for you. And yes, you're worried, but don't stress too much - there are things you can do to try to deal with this behavior... hopefully before it becomes a habit. Don't sit there and think, '"What the pluck am I meant to do?". Keep reading and let's get Polly "shaking her tail feathers", so to speak, once again. First and most importantly, look at her environment and consider the possibility of stress, which is one of the most common reasons for this problem. If Polly is kept in a cage most or all of the time (and most birds are), then you need to check if it's big enough for her. Generally, as a minimum, cage sizes for medium-size parrots (African Greys, Indian Ring necks, Amazons) should not be smaller than 80cm x 60cm. Larger parrots (Cockatoos, Macaus) will need a cage no smaller than 90cm x 60cm. If you can, go by the rule "bigger is better"; the larger the cage for your feathered friend, the larger her love for you will be (maybe!). Also, consider where the cage (and therefore she) is located all day - if it's in a corner of your home or otherwise tucked away from the activity and vibe of the place, it's probably not very interesting for her and she may well be feeling very bored. Remember, parrots of this kind are very intelligent and can get bored and depressed easily as a result. So, better to place Polly's cage near a window or in a main area of the house where there is something always going on. 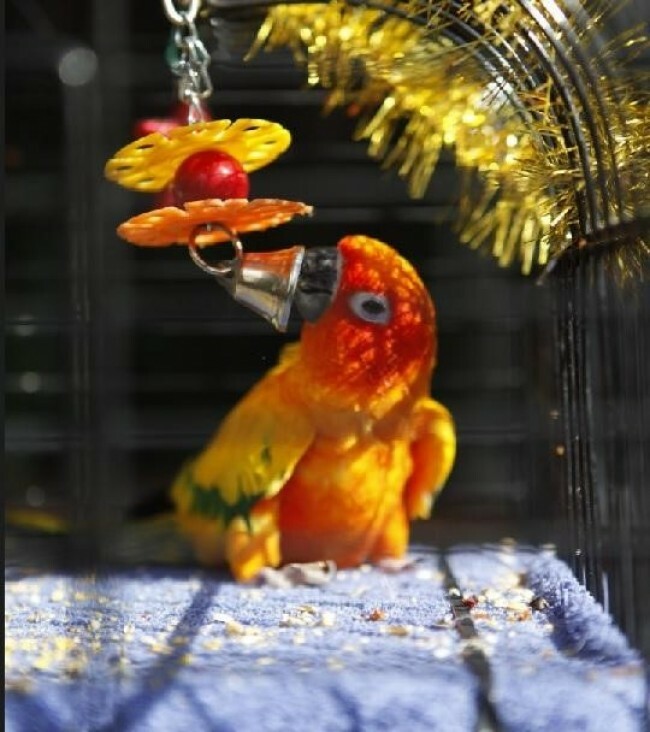 By doing this, Polly will get a lot of social interaction (even from within her cage) a lot of the time. If she feels a part of the family then you will have a much happier parrot and plucking her own feathers might just disappear from her mind. To see what we and our feathered friends get up to at DKC, check out our Smanimals video right here: … we can’re just so darn tootin’ cute!